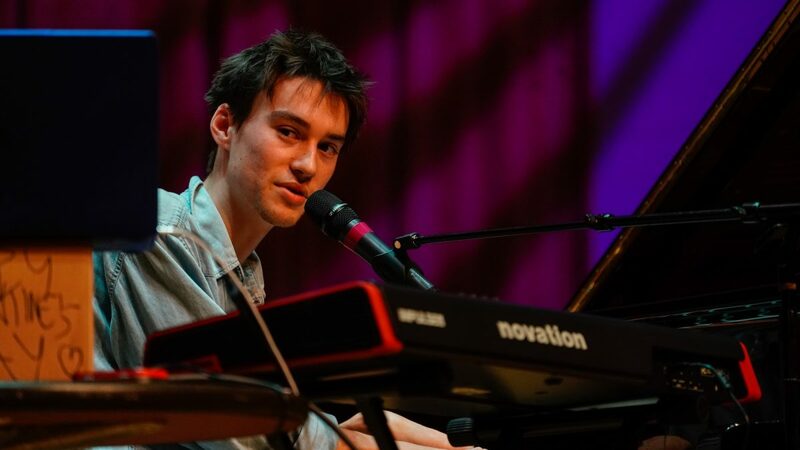 YouTube sensation and musical genius Jacob Collier graced the stage of Frost’s Gusman Concert Hall Feb. 14 for an exclusive music-students-only masterclass. The singer came to town for his collaborative performance with the Nu Deco Ensemble, a Miami-based chamber orchestra, which took place Feb. 15 at the Arsht Center. In the few days the London native was in town, his fans at Frost had ample opportunities to be inspired by, and even talk to, their idol. Frost Professor Daniel Strange, who hosted Collier on campus and played keyboard in the Nu Deco Ensemble during his performance, was thrilled to work with Collier for the first time. But he was perhaps even more thrilled to see his students’ reactions when Collier walked into Gusman Hall on campus. Collier, 23, earned his spot in the public eye back in 2012, when the then-teenage musician launched his YouTube channel. He quickly amassed millions of views on his videos, some of which feature several “Jacobs” singing or playing together to create a full, harmonized sound. He sings different vocal parts or plays several instruments, then overlays the separate videos and split-screens them, so you can see and hear the different melodies all at once. “I’ve been a big fan of Jacob’s since he started his YouTube channel when I was a teenager in 2012, so it was a dream come true to participate in the masterclass and see his concert with Nu Deco Ensemble,” said senior Rachel Ohnsman, who attended both the masterclass and the concert. What impressed Strange and his students most about Jacob was his willingness to share and connect with other musicians. Strange recounted “nerding out” with Collier in his car ride to campus and feeling “like kids in a candy store” when the two discussed their similarly harmonic approach to music. Students, too, felt Collier welcomed their questions and was eager to speak with each of them. Strange said he was especially impressed by his students reactions to Collier’s masterclass because it wasn’t a performance – and yet, Gusman Hall was full to the brim with eager listeners. Collier was there to share his theoretical approach to music, which is largely based in his own self-teaching. 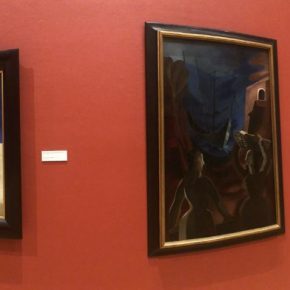 To academically-trained musicians, Collier’s talk was a welcomed fresh perspective. Collier’s cleverness and multifaceted talents were on display at the Nu Deco performance Feb. 15. After the group played two sets of wildly innovative orchestral music, featuring everything from a banjo to a Moog synthesizer, Collier joined for a third and final set. He sprinted onstage barefoot in a brightly-colored tunic to find his place at the piano. The crowd applauded his entrance wildly and listened as he sang out his first notes, surprisingly low and resonant. For the next hour, Collier switched between piano, keyboard, acoustic guitar and upright bass, all the while impressing the audience with a mix of covers and original tunes, with Nu Deco backing him up. 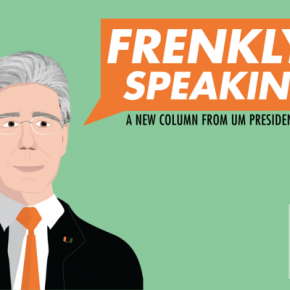 Though Collier is headed back to his home in London, Frost students and professors are hoping he’ll be back to Miami, and perhaps the Frost School of Music, in the near future. 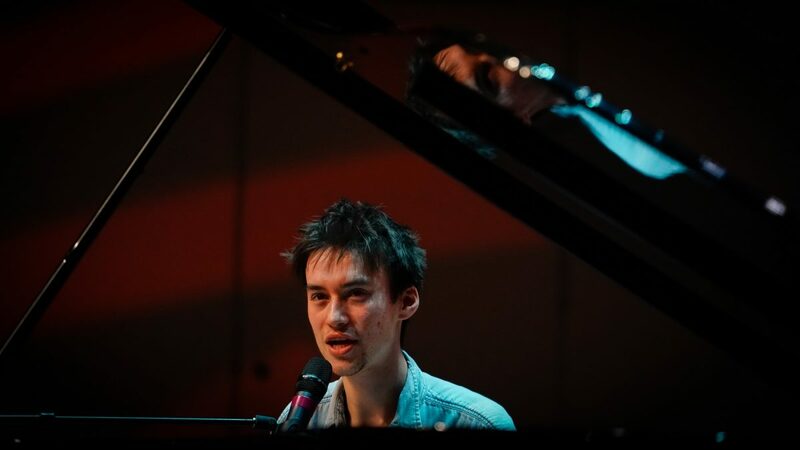 For more updates on his whereabouts and projects, follow Jacob Collier @JCollierMusic on social media.